Close your eyes and imagine a really bad trading session. You might have a recent example you can use. Or if not, just make one up. The details don't matter. They'll vary for each of us. Just make it bad. "I drag myself into the office and throw my bag on the floor. Feeling crap with a hangover and too little sleep due to last night's celebrations. It's 10 minutes till market open. No problems. I'll catch up on the pre-session admin later and just wing it. 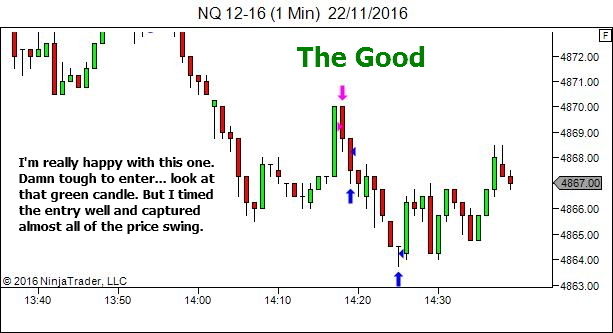 I'm on my third coffee already – this should help me make it through ok."
The market opens and drives higher with strength. "Suckers… it's right into resistance. 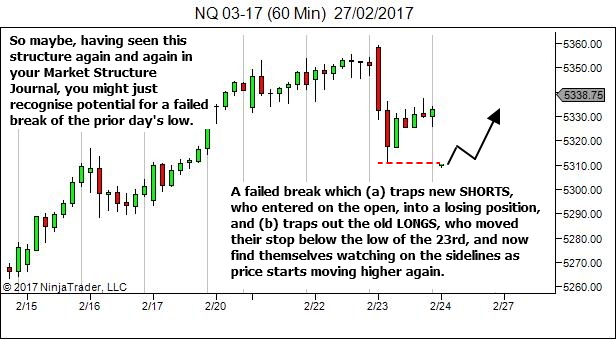 I'll short here and catch the move back down to the market open." As does the second attempt. And the third. And the fourth, which had the stop pulled even higher, because "this damn thing is so overbought". Or maybe your example is something much worse. Whatever it is, close your eyes and visualise it. And feel every feeling that such a session would bring. Now, the session is over. You've smashed your keyboard and it's time for review. Close your eyes and imagine yourself critiquing your performance. Close your eyes, visualise this scenario. And then critique your performance. Now let's shift the scenario slightly. This time the session went exactly the same, but you weren't the trader. The trader was the person you most love in life. Your partner. Your Mum. Whoever you care the most for. And you're their coach. The person they come to after each session to discuss their performance and to plan the way forward. Close your eyes and imagine how you would handle their performance review. If you've been honest with yourself, it's likely that the first scenario would have been far more emotional. Quite likely an explosive, self-critical and self-deprecating review. Whereas the second, while still noting that the performance was unacceptable and must lead to change, would likely be more calm and rational. With a more considered review of both the reasons for the poor performance and the solution that is necessary to prevent recurrence. 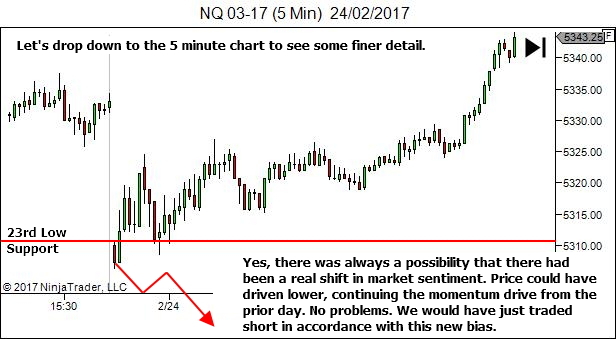 This simple shift in the scenario has created some space, or distance, between our rational mind and the emotion associated with the trade performance. Please read it. It will take about 10 minutes, tops. Collectively referred to as “self-distancing,” practices like those outlined above and Rusch’s “pretend you’re talking to a friend” allow us to remove our emotional selves from intense situations, paving the way for more thoughtful insight and subsequent decision-making. Employing a self-distancing strategy allows you to evaluate activities or situations that are rife with passion from an entirely different perspective, one that includes logic alongside emotion. I now journal in the third person. Give it a try for a month. You can always go back to normal if you don't like it. 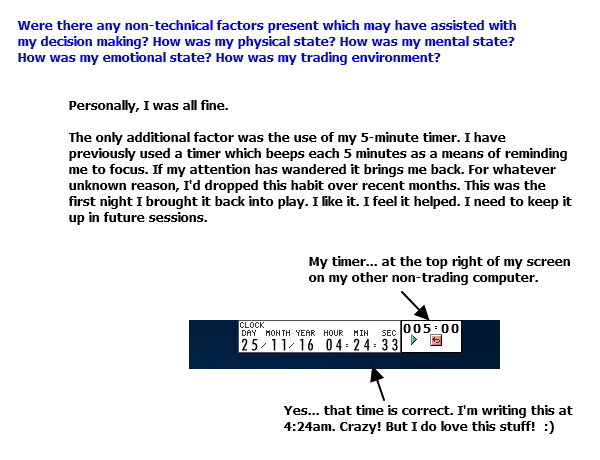 All reviews (session reviews and longer term reviews) will now be conducted as if I am the "Performance Coach" reviewing a trader within my firm. Again, give it a try for a month. You've got nothing to lose. And if you can separate your rational and logical side from the emotion of the session, just a little, there is a WHOLE LOT to potentially gain. That trading you did so far this year is no longer yours. It was done by your best friend, your partner, or some other loved one. You are now the performance coach. And it's time for you to honestly review their trading business. Close your eyes and imagine the review session. And answer the following questions. Did they approach these recent months with clear and realistic goals for growth and development? Did their performance drive them successfully towards achievement of their goals? Are the goals still appropriate, or do they need amending? What action must be taken in the coming months to take decisive steps forward? Calmer. More rational. More logical. And far more likely to lead to practical and effective decision making. There are some common themes that run through the articles I produce at YTC. One of these, which has been here since the beginning, is the importance of creating a Market Structure & Price Action Journal. Every day, find something that amazes you in the charts. Print it out. Cover it with notes. Study it. File it. And review your journal often. It really will be the greatest trading book… EVER! 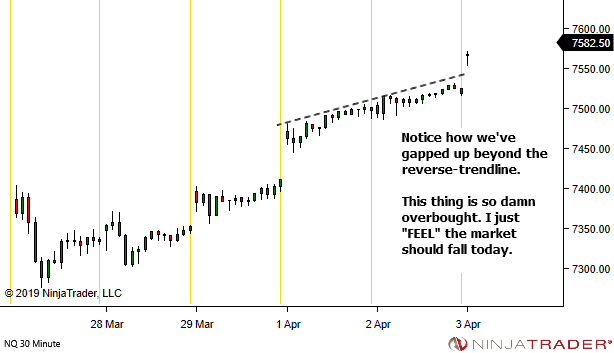 Over time, I promise you will start to see patterns within the market structure or price action, which repeat themselves again and again and again. This is a structural feature that I see repeated again and again and again. 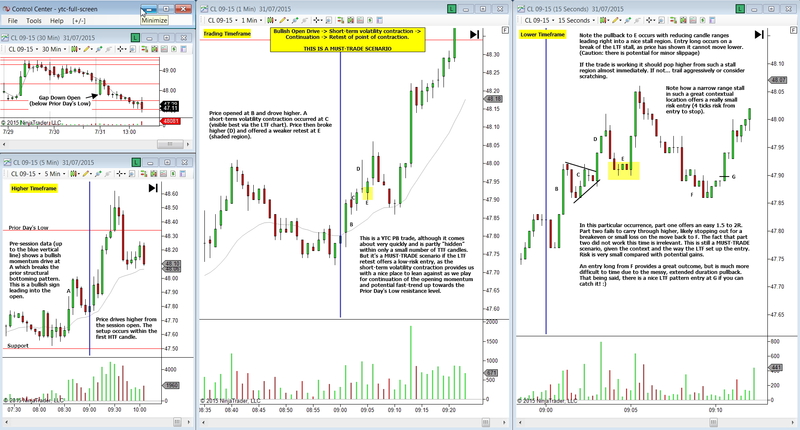 And of course, those with the YTC Price Action Trader should look to Volume 2, Chapter 3, Page 143. 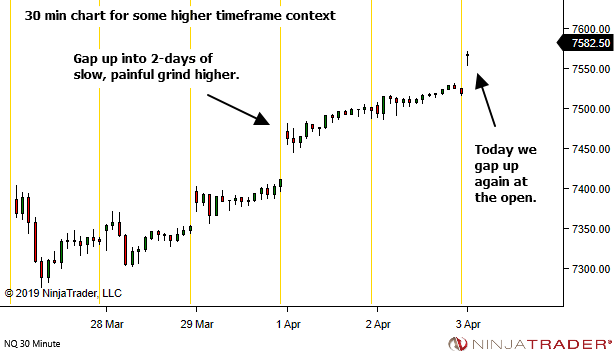 But let's look to an example which occurred last week, on a higher timeframe chart. 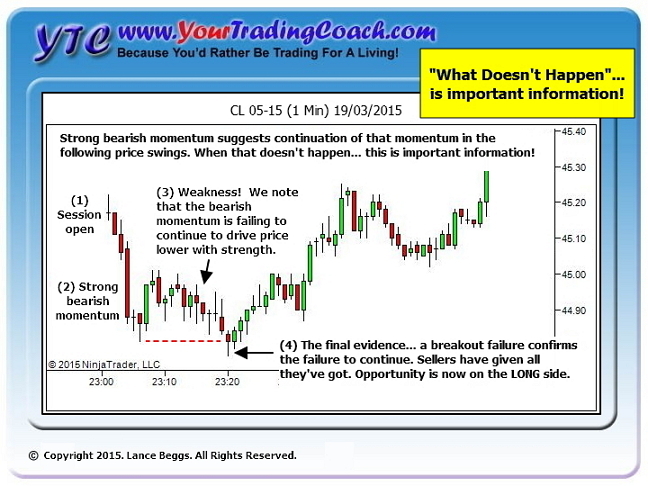 Yes… it's an idea which you will find in all markets and all timeframes! You might like to consider your review process as the vehicle which drives your trading business to its ultimate destination. Whether that destination is ongoing improvement and eventual success… or continued mediocrity, frustration and failure… is completely up to you. If you've got nothing in place, here is a simple process to get you started. Once you're comfortable with this, there is great scope to expand it to new areas of review. It doesn't solve everything. But again, if you've got nothing in place, consider implementing this process RIGHT NOW. Look at your last 20 trades. Study them with the benefit of hindsight. Examine 50 if you prefer. Or 100. Find the right compromise for sample size, which is large enough to be statistically significant and small enough to ensure your review process occurs on a regular basis. But not less than 20. I would suggest that is the absolutely minimum. 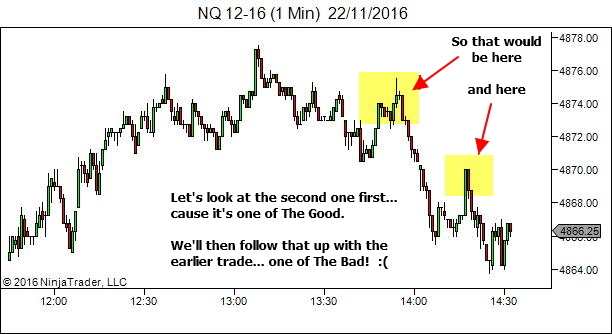 Once you've gathered all the trade data and charts, let's check the quality of the setups. 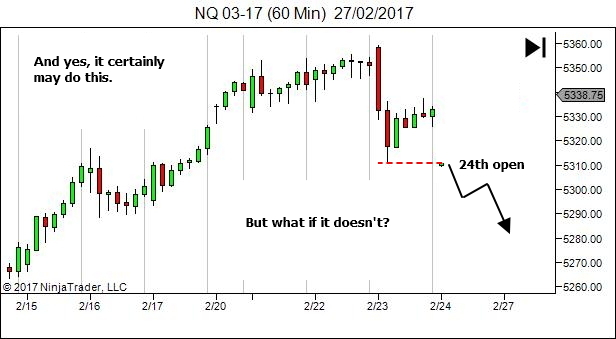 How many of your trade ideas were in chart areas which DID offer potential for multiple-R profits (2R minimum)? It doesn't matter whether you actually managed to profit, or not. We're checking the general concept. The trade idea. 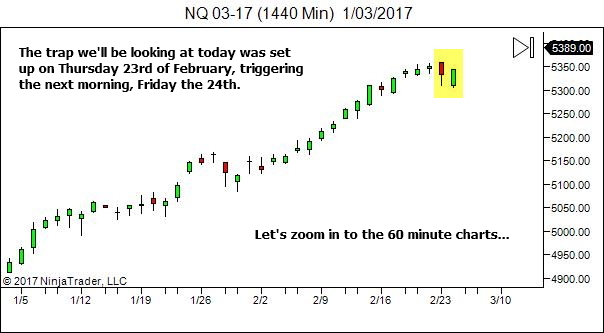 We're making sure you're trading in the right areas of the chart. 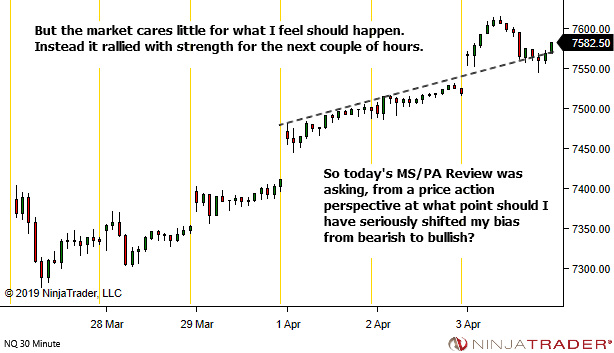 Did price move from the setup area a sufficient distance to provide multiple-R returns? 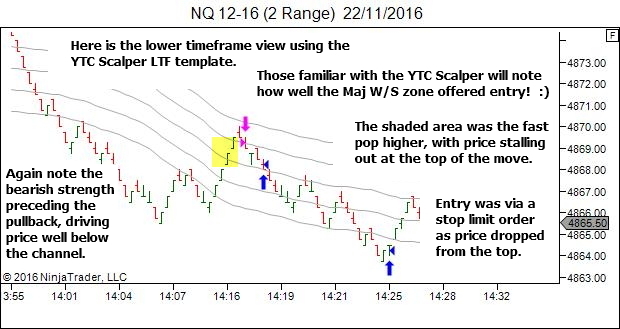 Take note of all the trades within the sample which achieved this goal. And now let's check the quality of trade entry. 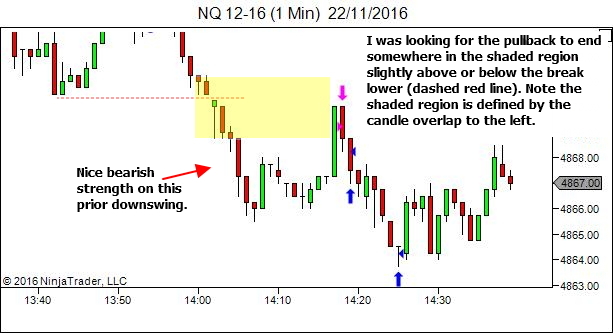 Now consider those trades that were in good multiple-R setup areas. How many were you able to enter at a place and time which offered good potential to catch those multiple-R profits? Again, it doesn't matter if you achieved a profit or a loss. 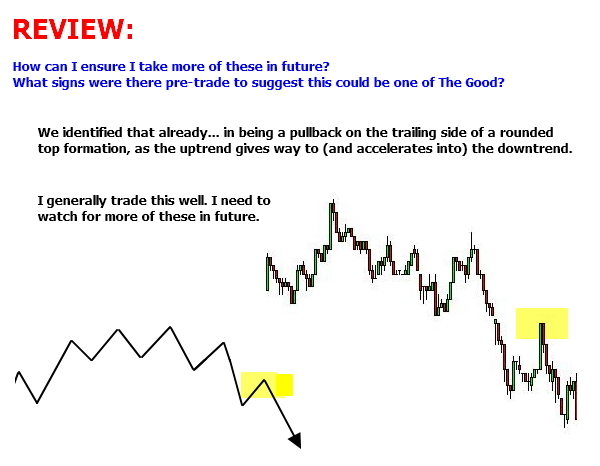 With the benefit of hindsight, given where you entered, is it reasonable to expect that a successful trader could manage that position to achieve multiple-R profits? 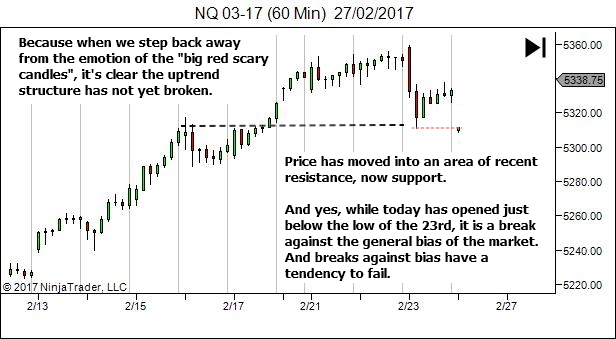 How many of these trades would you classify as having a good entry? Take note of them… and let's move on to check the trade management. 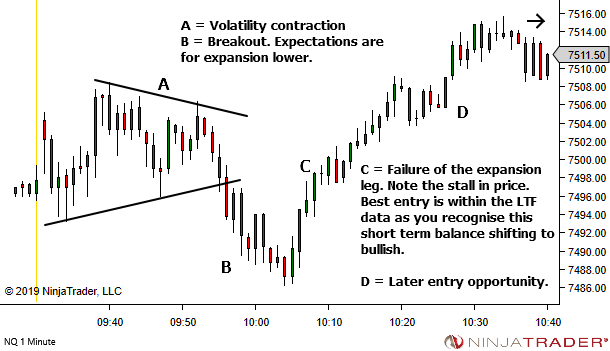 Now consider those trades that were in good setup areas and which were entered well. How many of these were successfully held from entry to the first target level? 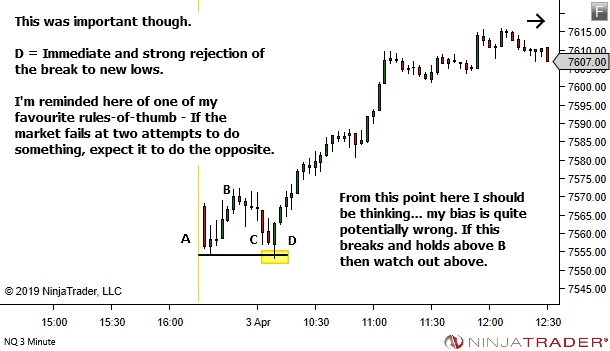 How many were you able to hold open to the initial target point, avoiding all temptation to scratch the position early? Of those which did achieve the initial target, how many of these were held to a further "hindsight perfect" exit point? Again, take note of how many achieved this aim. And now let's use this information to drive our business forward. 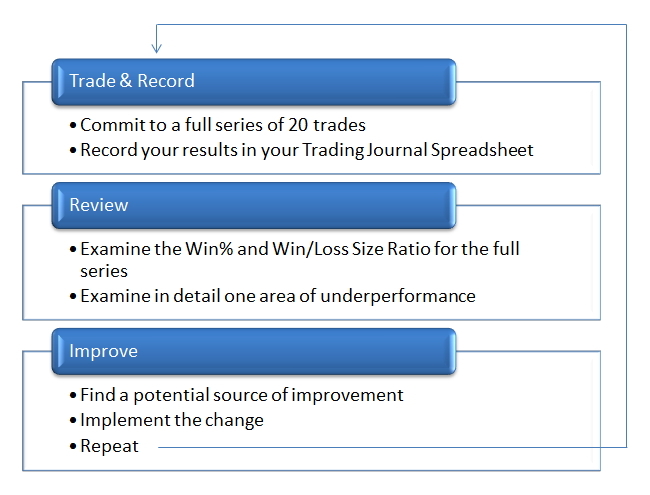 Looking at these figures, which area do you need to improve when trading the next sample? It's important that we focus on one area at a time. And that we work in order. Get the setups right first. 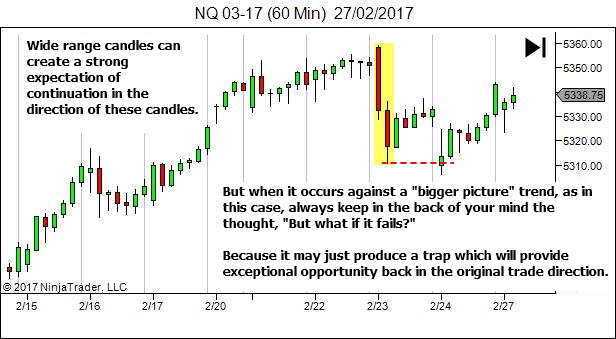 Are you happy with the number of trade ideas that are actually providing multiple-R profit potential? 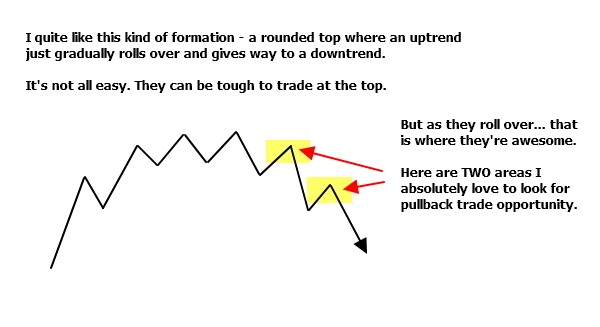 If not… focus on improving the quality of your trade ideas. Find the first area that disappoints you. Examine why. 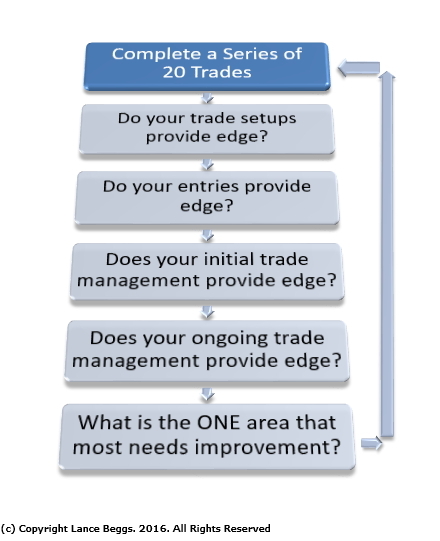 Determine a course of action for the next 20 trade sample. What If You Did This Every Day? The following image was posted on YTC Social Media on Tuesday… and I think it makes such an important point that I want to expand upon it in today's article. 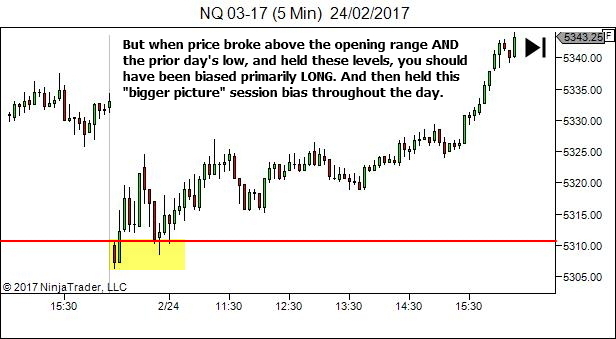 All trading conditions are NOT equal. Sometimes the environment is well suited to your trading strategy, your style and your personality. Other times it is clearly not suited. As always, the game plan is subject to change during the session. But it's a useful starting place. 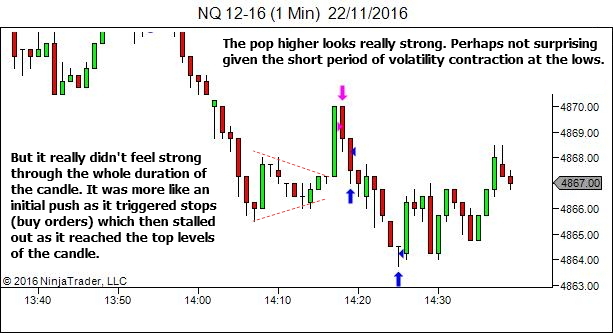 It will have you ready to engage the market without hesitation, should price move into areas with potential for ideal trading conditions. And it will have you operating cautiously at all other times. But how do you learn to identify these areas? 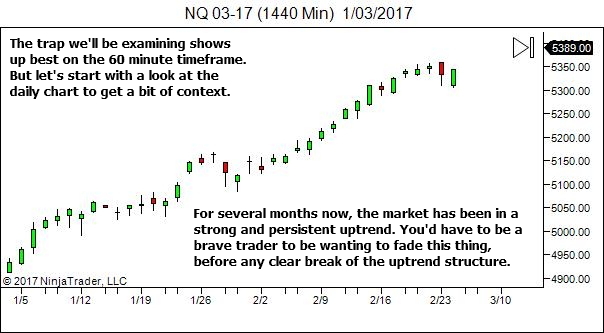 This is a good goal for your Market Structure & Price Action Journal! What if you added a short task to your session review procedure? 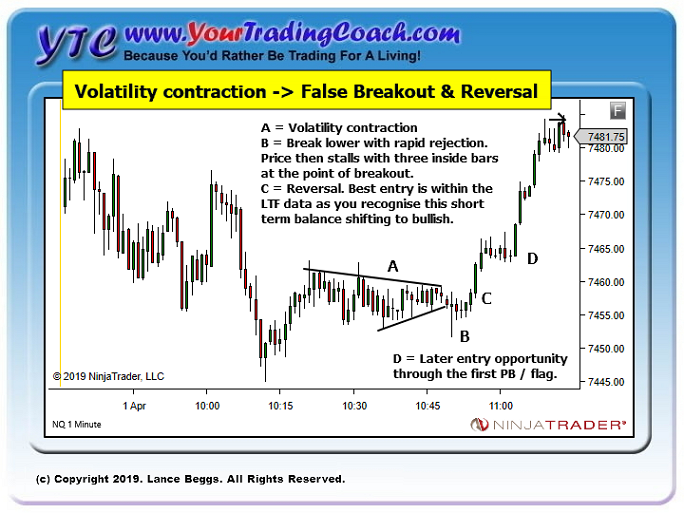 Just a couple of minutes to review the higher timeframe and trading timeframe charts. 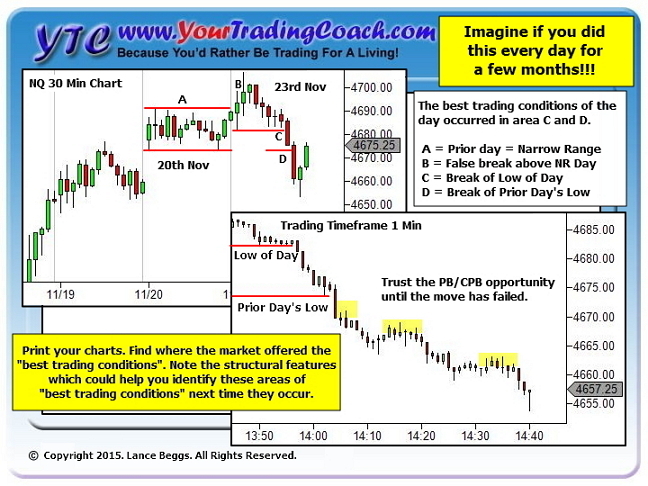 What if you identified the areas on the charts which provided ideal trading conditions? 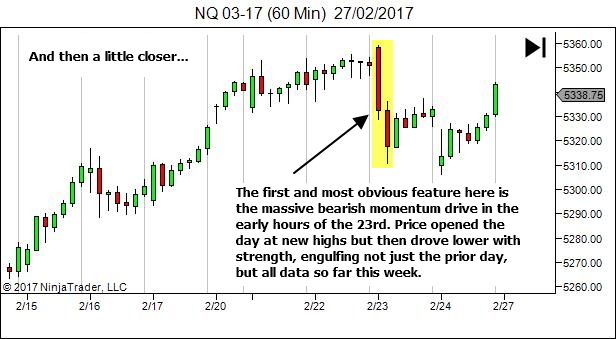 The price action with clear directional conviction, smooth flow and ideal pace (or whatever other conditions you prefer). Just the absolute BEST! 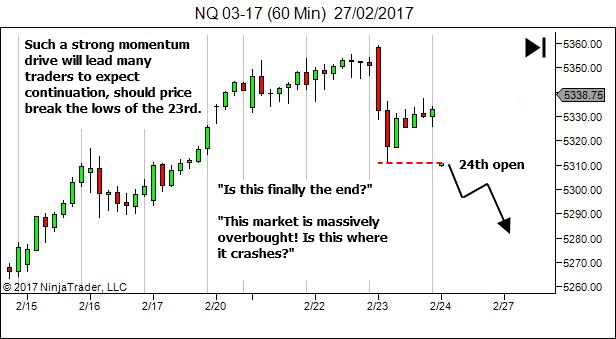 What if you studied the market structure, noting on the chart the features or conditions that led to creating this ideal environment. Typically these might be areas that spring an HTF trap, or areas of significant breakout. 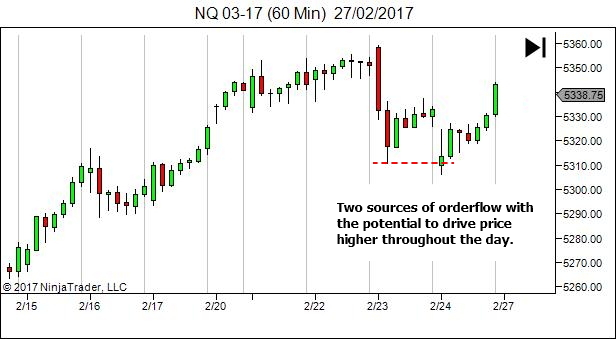 What if you studied the price action, noting how to best exploit the trade opportunity to maximise profits while minimising any risk. 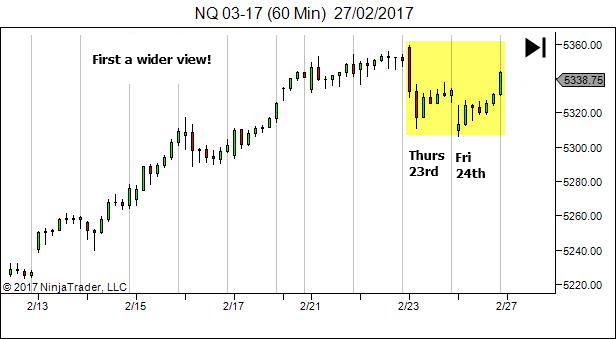 What if you printed the charts, along with your market structure and price action notes, and filed it into a ring binder or folder? What if you used this resource to document some rules-of-thumb for identifying potential areas of ideal conditions, allowing you to commence each session with a game plan just like the example listed above? Would that perhaps be useful? Let's look at another example using the same market as in the above image, but from the very next day. We've spoken in NUMEROUS articles about the importance of using a journal to study key market structure and price action sequences, with the aim of developing your ability to perceive and understand the current strength or weakness of price movement and project that forward to develop a bias for the near future. That's a quick list from the top of my head. 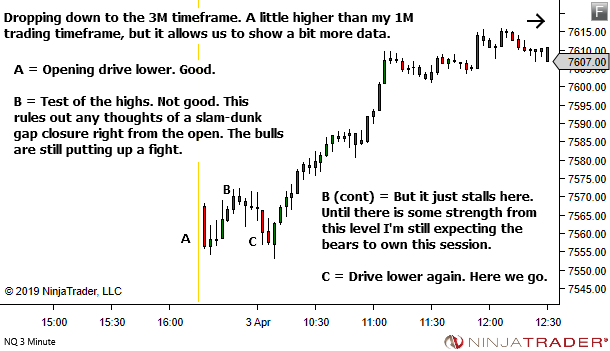 But there are likely more if you want to search through the archives (http://yourtradingcoach.com/site-map/). Perhaps try the Tag List on the right hand side, or the search box at the top right. 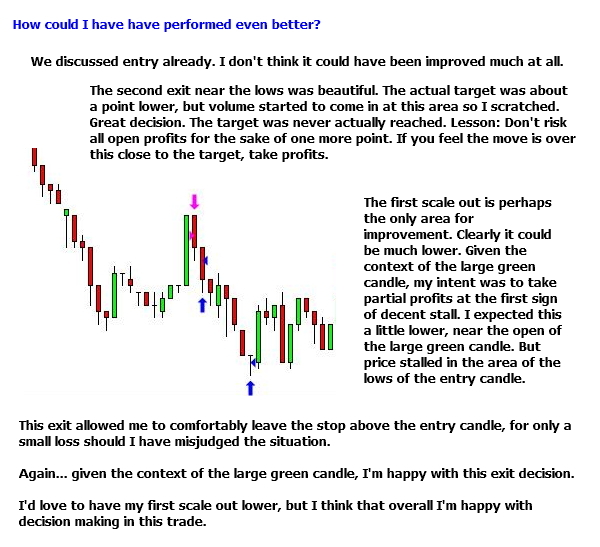 Equally as important though is a Trades Journal, studying the best trade sequences of the day whether you took them or not, with the aim of developing your ability to perceive, understand and exploit trade opportunity when it presents in the markets. I know… I ask a lot of you! But I really believe it's of GREAT benefit to your trading business. 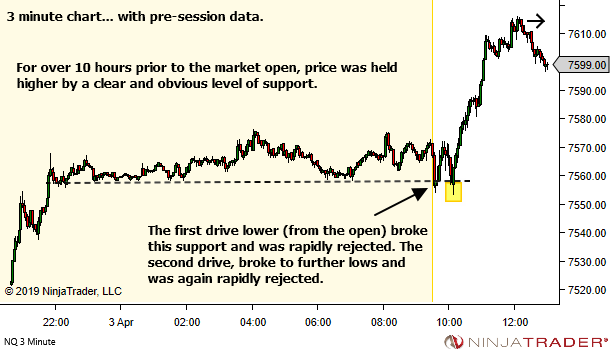 Every trading session – one entry in your Market Structure / Price Action Journal. And one in your Trades Journal. 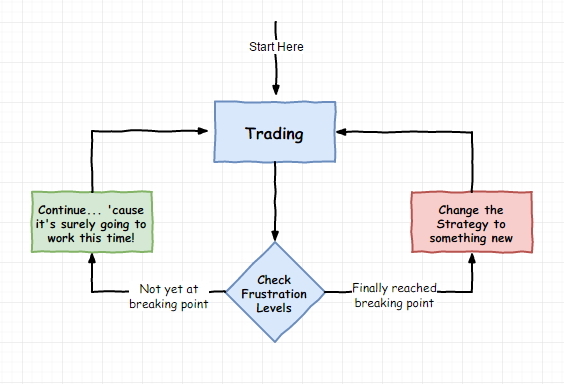 Trading is a skill-based & performance-based activity. How do you develop skill? By studying best-practice! Whether you traded it or not! 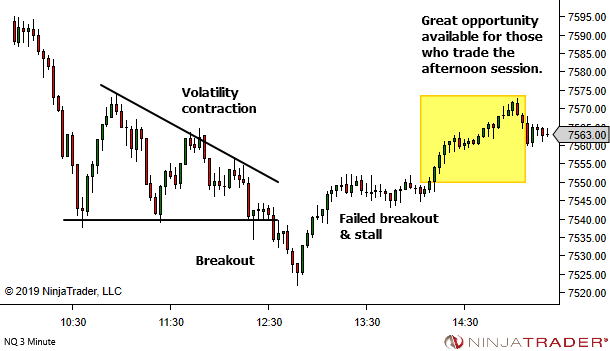 What was the best trade opportunity of the session? If you did see it at the time, what did you do well and how could you do it even better? What did you do poorly and how could you improve next time? And if you didn't see it, what clues did the market provide that this was a Must-Trade scenario. If you don't have a Trades Journal, get started today. Open up your charts to the prior session and find that day's Trade of the Day! Print it out. Study it. Cover it in notes. And file it. 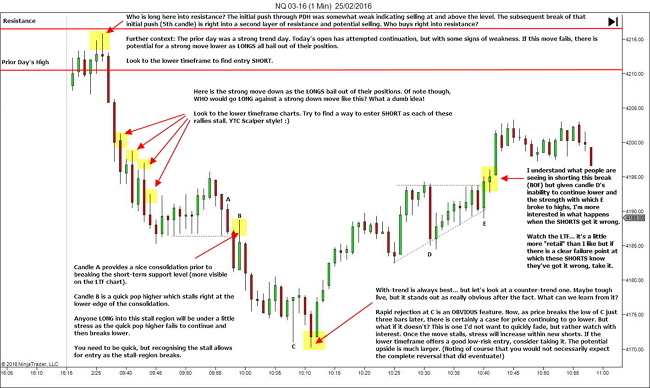 Here's a few to get you started… all from last Friday's session… all of which I consider Must-Trade scenarios. Click on the images to open larger copies in your browser! Or see the links below the images to download a copy to your computer!